As a basketball fan, what’s the one thing you want to get your hands as the highlight of your fandom? What’s the must-have on your bucket list? What is your grail? Basketball grails are special. They don’t have to be the most rare, most expensive thing in the world as long. But their value to you is something immeasurable, inexplicable. It’s something that holds sentimental value, something that reminds you of a special moment or something you worked extremely hard to be able to get. Grails complete your fandom. This week, SLAM PH is celebrating Grail Week. The team gets together to talk about their basketball grails and what those items mean to them. Almost every NBA fan I know follows the elite players. LeBron James, Kevin Durant, Steph Curry, and the rest of the guys at the top of the league today. The best of the best. The cream of the crop. It’s easy to understand why. These guys produce numbers and highlights in their games more often than not. Their jerseys and shoes are all over the place. They are the faces of the NBA. Ask my friends and they’ll probably tell you that they want LeBron’s shoes, or Steph’s jersey, or a KD shirt for themselves. Maybe you could throw in something Kobe Bryant or Michael Jordan for the older fans. Me? I’m not going with the flow. I’m not head over heels in rocking gear or sneakers from the best players in the NBA. Up to now, I’m still in search for certain jerseys from over six years ago—a pair of jerseys which I would probably never find. One is white, the other is blue. Both have the name of New York and the number 17 emblazoned in front of it. Yup. 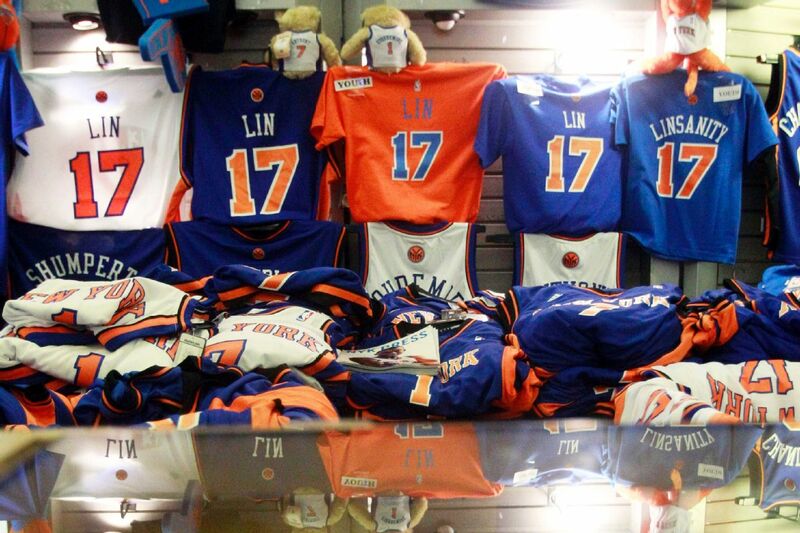 I’m still looking to cop for myself the home and away jerseys that Jeremy Lin once donned in his brief tenure with the Knicks. These are the remnants of a short-lived era that was beautifully coined Linsanity. Perhaps, it was bad timing for me since I was a student back then, and I have no means to pay thousands of pesos for a couple of jerseys. Sadly, even if I can pay for those now, they’re already out of the market. Why Jeremy Lin? I have always been a loud and proud Lin fan even after his glory days in The Big Apple are long done. Houston, LA, Charlotte, Brooklyn, and now Atlanta. Wherever he goes, I follow. That’s how hard I fell in love with Lin’s game. This feeling has carried over because of what he accomplished in his one month of breakout games in New York. Looking back, I realized that my diehard admiration for Lin was a slow process that took a while before it became a thing. There was a time when I was only aware of his existence through articles and video games. I would always put him on my 2K roster as my backup point guard. It didn’t matter what team I played on. I would pick him out of Golden State (and later on, in free agency) and make him lead my second unit. It’s probably my way of projecting my basketball dreams onto him. It’s amazing how someone with Asian heritage, more so someone who graduated from a prestigious school like Harvard, found his way to the NBA. I could see myself in him. I could relate to him in a way that he’s an underdog in the context of professional basketball. He was a nobody. I always thought that we shared the same feeling of longing to prove ourselves, that even if everyone was already counting us out, we still believe that we can make a name for ourselves. That shared feeling was enough for me to root for him. Deep inside, I wanted to see him thrive in the biggest stage basketball can offer. However, that was all it. A projection, a fantasy of sorts. Things were entirely different in the real world. Just like how the prominent NCAA teams passed on him in college, Lin was left hanging after being undrafted in the 2010 draft. He bounced around from Dallas to Golden State to China to Houston before finding his way in New York. Lin went from one team to another without even getting the chance to prove his worth. Still, the hope remained that I would see him play like a legitimate NBA superstar, even just for a night. It took two years before I finally witnessed Lin turn that far-fetched basketball dream into reality. It was supposed to be a normal day in New York. The franchise’s well-documented struggles were about to continue with an impending loss to the Nets. By then, Lin was already riding the Knicks bench for over a month now. What else could they lose when they were already losing everything? With no star to lean on to, they finally took a chance on Lin. Just when everyone wasn’t expecting it, Lin took the city and the league by storm. A pinpoint pass here. A strong drive there. As soon as the night ended, he already scored 25 points and dished out seven assists against the Nets. It was the best game of his career at that point. Lin’s affair with superstardom was supposed to be a one-night stand. Get up and get out, continue life as it was before. Yet, he found ways to sustain his success game after game. There was his introduction to Kobe Bryant, where he dropped 38 points against one of the best to ever play the game. There was the Valentine’s day match against Toronto, where he executed his most memorable shot—the game winning three at the top of the key. There was the game against Dallas, where he dropped his career-high 14 assists to go along with 28 points. 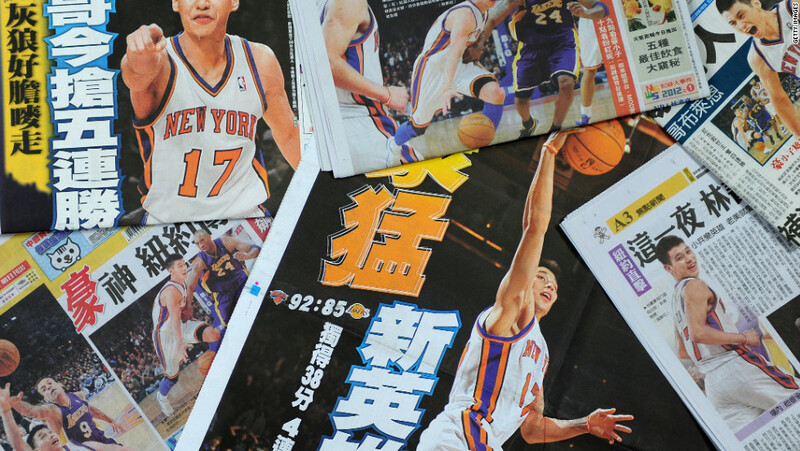 What seemed like a fluke eventually became a universal truth—Jeremy Lin was a star on the rise. However, his superstar run was cut short by a series of unfortunate events—Carmelo Anthony’s return, Mike D’Antoni’s resignation, his knee injury, New York’s reluctance to match Houston’s offer sheet. It became clear that Lin’s reign in New York ended too soon. It was a brief stint on the limelight, but it was one of the best moments I have witnessed in my life. 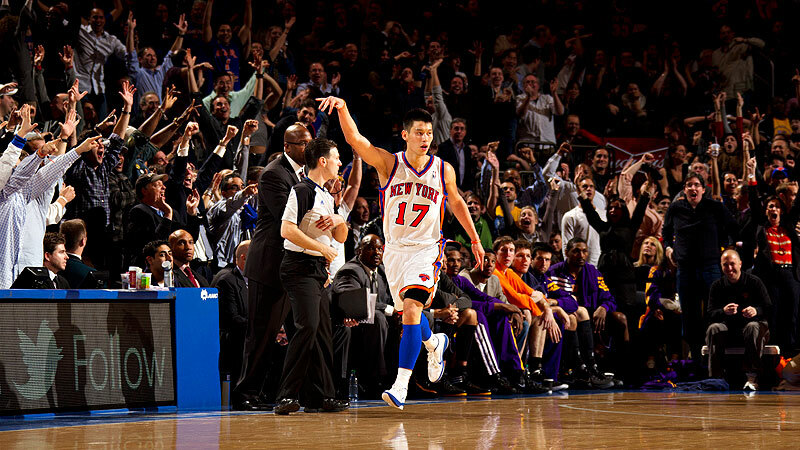 For the entirety of Linsanity, it seemed like every match was as memorable as the previous one. Even for a month, he made my wildest dream come true. A dream that someone who was counted out early in his basketball career can still thrive and make a name for himself. He inspired me to dream big in my own life, dared me to make a name for myself. In the process, he made a diehard fan out of me. For that, I will keep on rooting for Lin for the rest of his career, perhaps the rest of my life. 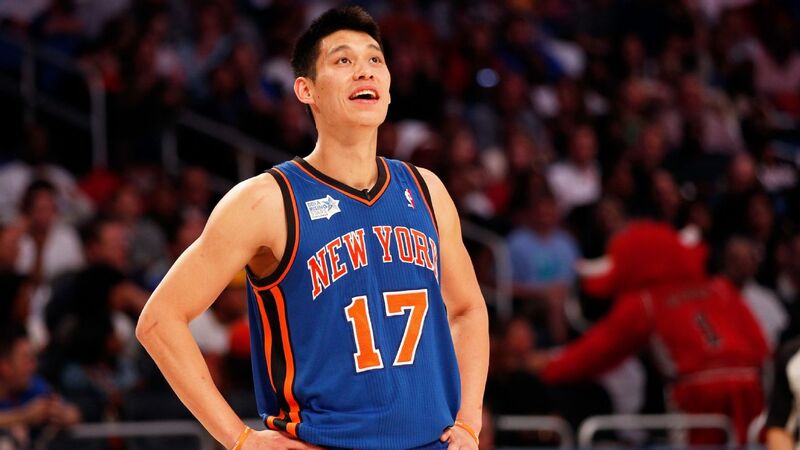 Now, I could only dream of wearing his blue and white jerseys in the hard court and channel the Linsanity in me. So, if anyone here has means to find Jeremy Lin’s OG New York jerseys, please help a fellow fan out. I beg you. As a basketball fan, there would be no better feeling in this world for me than wearing that legendary number 17 in New York blue and white on the basketball court.